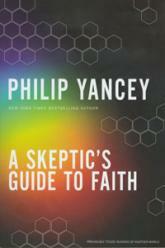 Philip Yancey believes we are missing the supernatural hidden in everyday life. He investigates the natural world and discovers the supernatural hiding in plain view. Nature and super nature are not two separate worlds, but different expressions of the same reality. To encounter the world as a whole, we need a more supernatural awareness of the natural world. He promises that the grace-filled result will be a life of beauty, purpose, freedom, and faith.